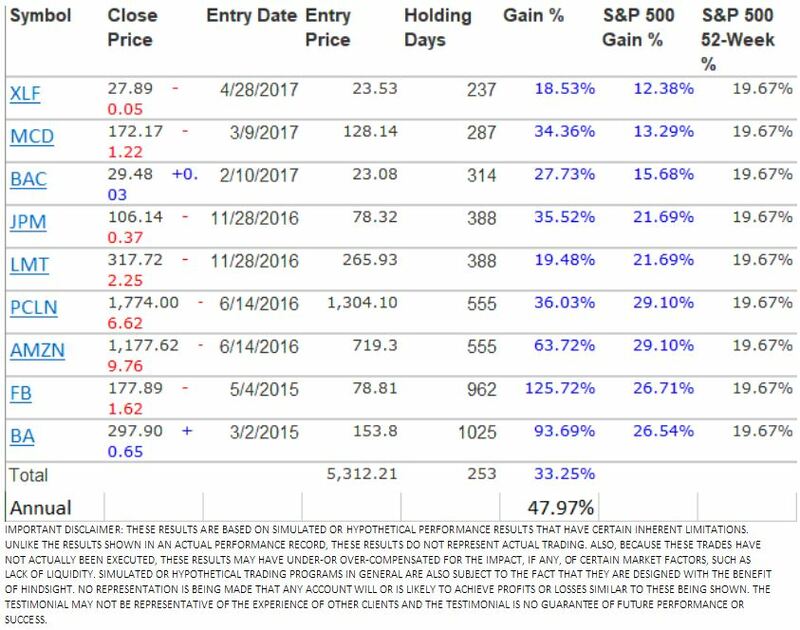 The list of “WinTick Expert” was selected from WinTick long term trading computer picks and recorded when they were picked. These 26 stocks were picked at the Sweet Spot Entries. WinTick scans over 10000 stocks daily and picks up the best performance stocks only with AbleTrend trading strategies. With this tool you don’t have to go through charts of hundreds of stocks, you may only focus on WinTick selected stocks or markets. “When to trade” is the so-called market timing and AbleTrend trading system does just that – it tells when to buy, when to sell, when to exit, and when to take profits etc.